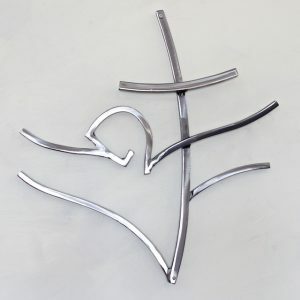 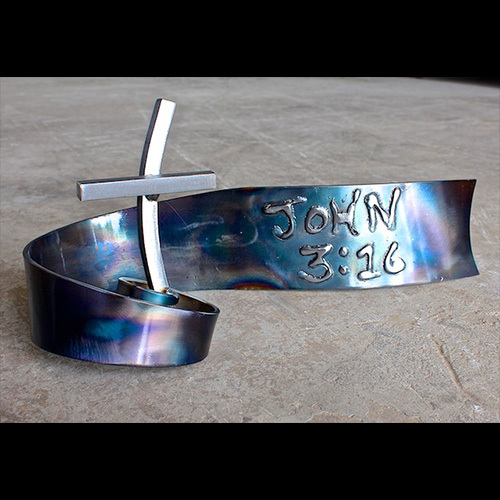 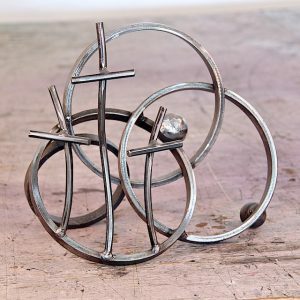 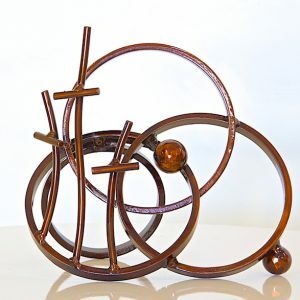 The Life Verse sculpture is my first interactive design idea that brings a Bible verse, inspirational word, or a personal phrase to life as a welded and lasting work of art. 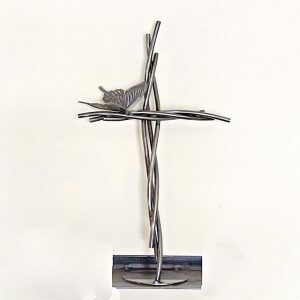 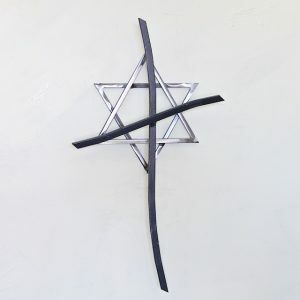 When placed in a visible area of your home or office, it can serve as a constant reminder for you and your family, or a conversation starter for someone you just met. 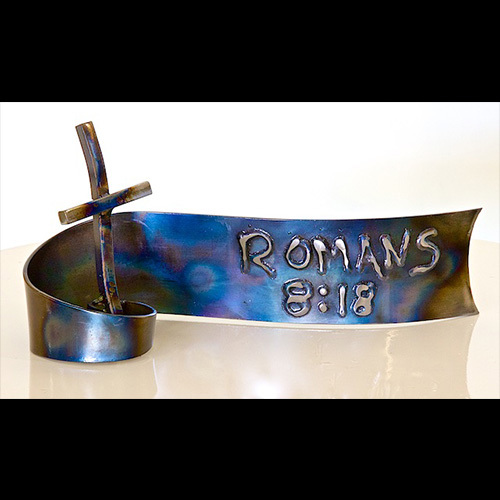 Hand bent from 2″ carbon flat steel, the verse is added using a Mig welder. 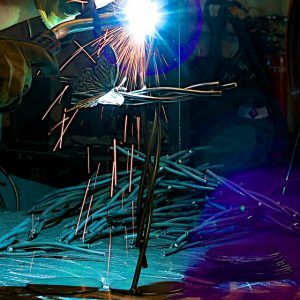 The entire piece is then heated with a torch and quickly cooled to produce blues and purples in a pattern that is always unique. 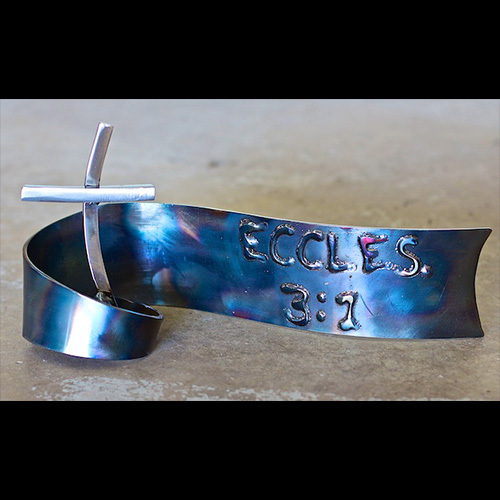 When you order the piece, you may add your verse in the “comments” line in the order form, or I will e-mail you within 24 hours to get the verse you would like inscribed.